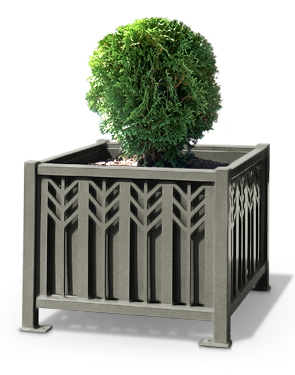 The Spencer Series square planter goes perfectly alongside its matching bench, trash receptacle, or rectangular planter. 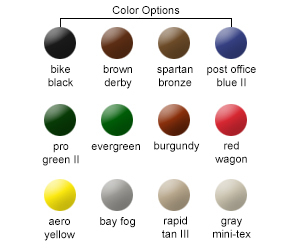 The highly durable powder-coated finish will protect even in the harshest climates and is available in the color options shown. Can be mounted to the surface using the pre-drilled mounting holes or left sanding on its own. Rigid plastic liner with four drain holes included.